"For those of you who love the Yamaha MM6, you're going to love the MM8!" For those of you who love the Yamaha MM6 keyboard with all its cool features, Yamaha just unveiled one more model to the MM line up—the Yamaha MM8. 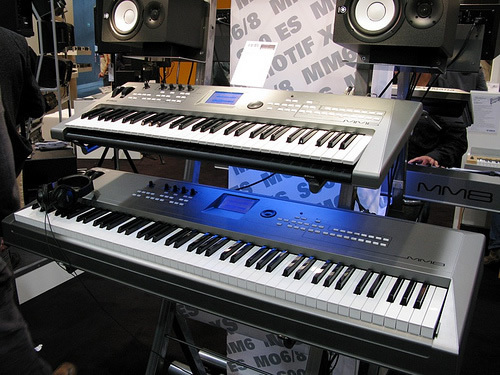 The Yamaha MM8 is an MM6 with an 88-key graded hammer action keyboard—all of the same great features of the Yamaha MM6 have been handed over to the Yamaha MM8 making the MM8 one really cool, portable (34 lbs/15.6kg), and still an affordable music workstation. For an in-depth user review of the MM8, click here.